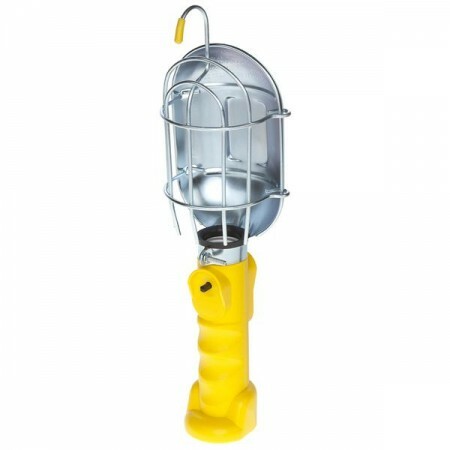 This Incandescent Work Light has a metal guard and an integrated metal hook with a rubber tip. The handle has an ergonomic shape making it easier to hold and handle. This unit also uses our exclusive 90 Degree Cord Swivel which keeps the cord up and out of the way making it possible to set the light down on its base for additional hands-free use. It uses a push button switch and has a 25' 18/3 SJT cord.